Following the release of the 2017 report, it appeared widely in English and vernacular newspapers, online news sites as well as on radio and TV. It was featured in the first page of leading English dailies such as the Time of India, The Hindustan Times, The Hindu and Deccan Chronicle as well as on leading vernacular dailies such as Dainik Bhaskar, Jagran etc. 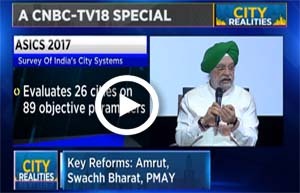 CNBC TV 18 televised a panel discussion 'City Realities' on the Annual Survey of India's City-Systems (ASICS) 2017 report's findings around the themes of urban planning, municipal finance and staffing, powers of elected representatives and transparency and citizen participation in governance. 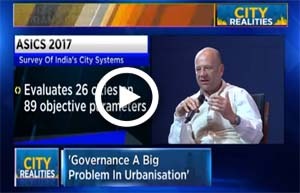 The discussion was moderated by CNBC TV 18's executive editor, Latha Venkatesh and the panelists included Shri. Hardeep Puri, MoHUA, Ms. Naina Lal Kidwai, Chairperson of Max Financial Services, Mr. Yuri Afanasiev, UN Resident Coordinator, India, Mr. Amitabh Kant, CEO of NITI Ayog and Dr. Junaid Ahmed, World Bank Director, India. 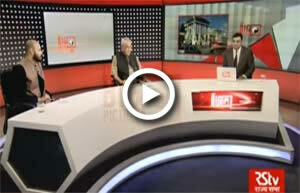 The report was also the centerpiece of Rajya Sabha TV's prime-time show - The Big Picture.